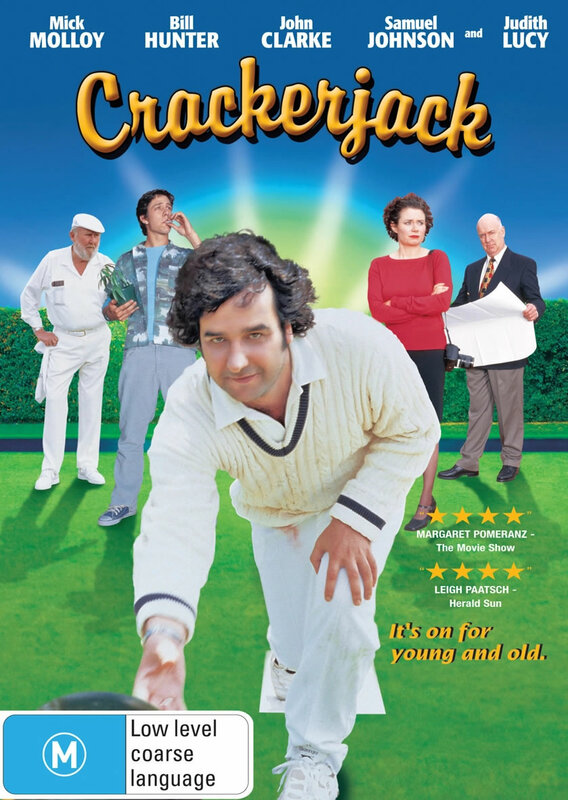 There has been a number of films named Crackerjack but the best was the 2002 Crackerjack shot in Melbourne starring Mick Molloy, Bill Hunter, Frank Wilson, Monica Maughan, John Clarke, Samuel Johnson, Judith Lucy and Tony Martin. We watch this fabulous Melbourne flick at least once a year and always get a laugh from this well written, acted and filmed Australian comedy. Pressured by moneyhungry Bernie (John Clarke) to redevelop their club and install poker machines when the begin having financial difficulties, Cityside Bowling Club members Stan (Bill Hunter), Len (Frank Wilson) and Eileen (Monica Maughan) make a last ditch effort to enter a tournament and win the prize money needed to stay afloat. Desperate to form a winning team, the ageing trio quickly learns that dispite his lack of presence, young Jack Simpson (Mick Molloy) has held a membership for years for the sole purpose of maintaing a cheap parking spot - not to mention renting out a few on the side for a little profit. Finally called on to serve his duty as an actual member, will Jack pitch in to save to club from certain extinction, or simply drive a few extra blocks to find another parking spot. Lawnbowls has never been more popular in Melbourne since this film was released.